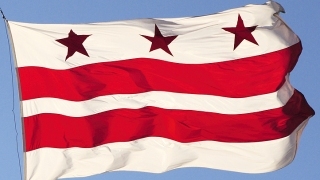 The head of the District of Columbia agency that builds and manages government property has stepped down citing personal reasons. The Washington Post reports Department of General Services Director Christopher Weaver, a retired Navy rear admiral, resigned effective Friday. Greer Johnson Gillis, previously a deputy director in the Department of Transportation, is the agency's interim leader. DGS has come under fire in recent months for its initial plan for homeless shelters to replace the former D.C. General Hospital. Some parents and pediatricians had also criticized the agency for what they said was inadequate led testing in schools and other facilities. Gillis has worked in transportation planning for more than 20 years. She has a bachelor's degree and a master's degree in civil engineering from Atlanta's Georgia Institute of Technology.